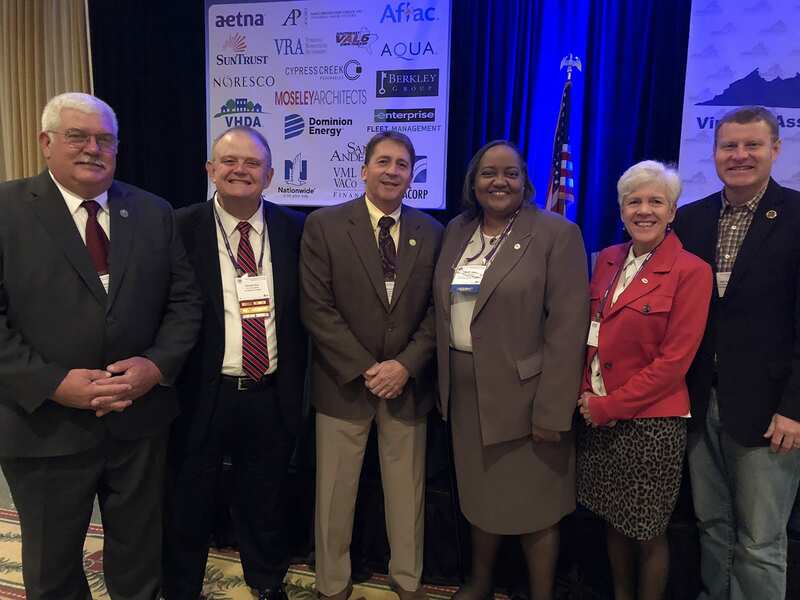 VACo’s Board of Directors consists of a six-member executive committee, 24 elected officials representing 13 regions of the state, three past presidents, a NACo Delegate, and a NACo South Region Representative. The terms are on a two-year cycle and the number of directors, per region, is based on population of that specific region. Regional Directors are selected by the member counties within the region. The Nominating Committee presents a slate of officers of the Executive Committee to the general membership for election at VACo’s annual meeting each November.